Last week, Kylie and I learned a very important member of our community - a forest ranger! Here are some highlights from our week. Two things that I really love (that are not my family of course!) are food and nature. Growing up in New Hampshire, I was surrounded mountains and lakes. My weekends were spent canoeing and fishing when I was younger. As I got older, my interests grew to hiking, snowboarding, and rock climbing. 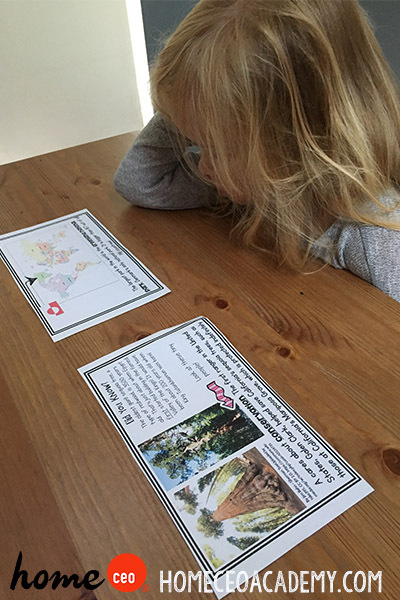 Kylie's National Parks passport already has stamps from The Grand Canyon, Yosemite, Sequoia, Joshua Tree, Yellow Stone, and Mount St. Helens! These vocab cards were a great conversation starter! We looked at pictures from our family vacations to Yosemite and Yellowstone, and we also looked at pictures National Parks my husband and I went to in Iceland. These funny phrase cards are a house favorite! 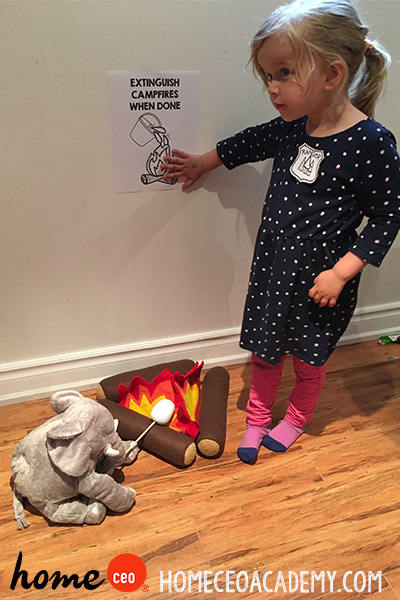 Try asking your little one what they think is going on in each picture. Why is the fox in the box? Maybe there is a snack in there! What did Mom won? A trophy? A pickle? You will be surprised by what your little one will think of! 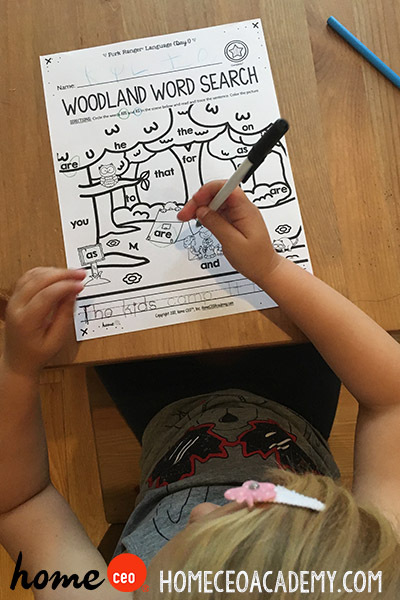 Sight word search, tracing, and coloring! This language worksheet has it all! 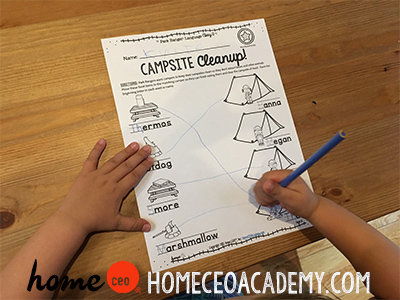 Tracing, matching, and more coloring! 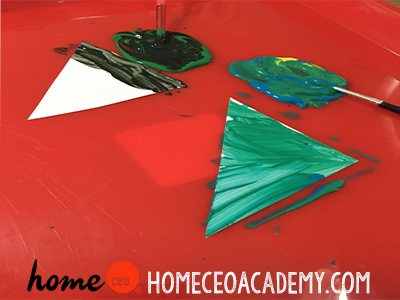 During Kylie's art block, she made a shade and tint of green triangle forest! It was very exciting to see what the colors "magically" turned in to. Introducing was...difficult. But I think (hope!) she was picking up on it by the end of the week. "Don't forget to put your fire out Mr. Elephant." said Ranger Kylie as she played during our dramatic play block. There you have it! 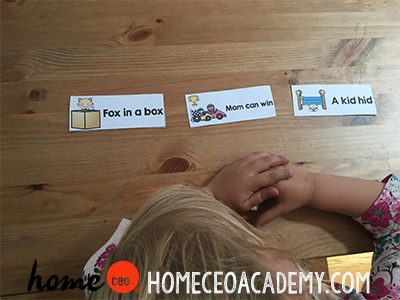 29 weeks down, and 1 (sniff sniff) week to go until my little girl is a Home CEO Academy graduate! 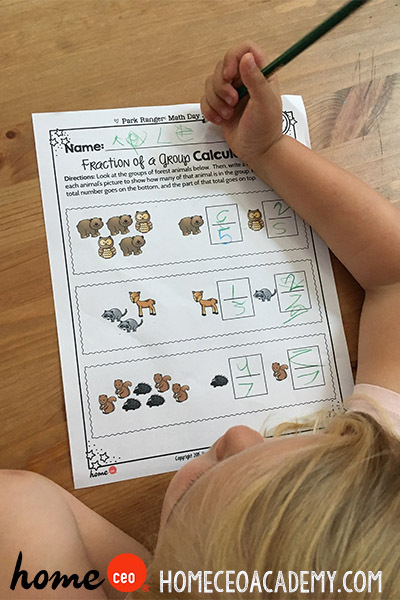 Check out our website for more information on our preschool homeschool curriculum packages for 2-3 year olds and 4 year olds.